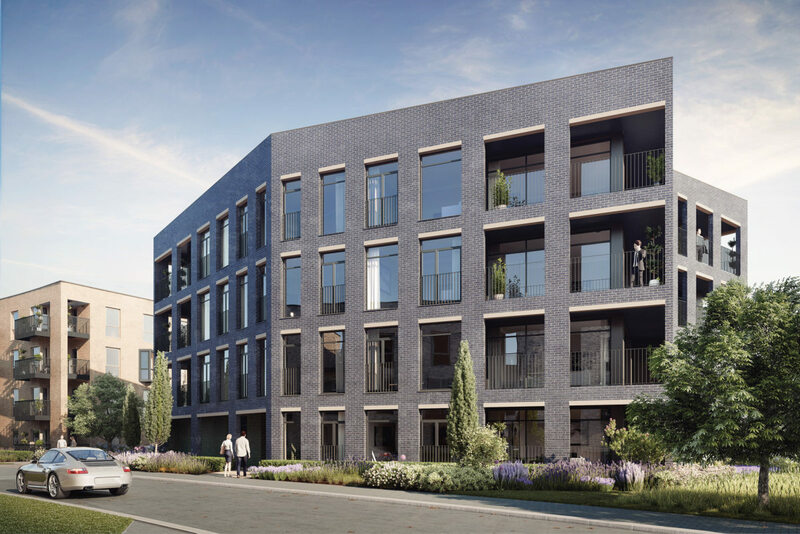 Alison Brooks Architects (ABA) has gained planning permission for their work in the first phase of Barton Park, a major new urban quarter in Oxford led by Oxford City Council and Grosvenor. The development is the first significant residential expansion of the city since the 1970s. ABA worked with PTE and developer Hill for the 237 home exemplar first phase, tackling major urban design issues associated with city-fringe development. The scheme sets a high benchmark for the design quality of subsequent phases. 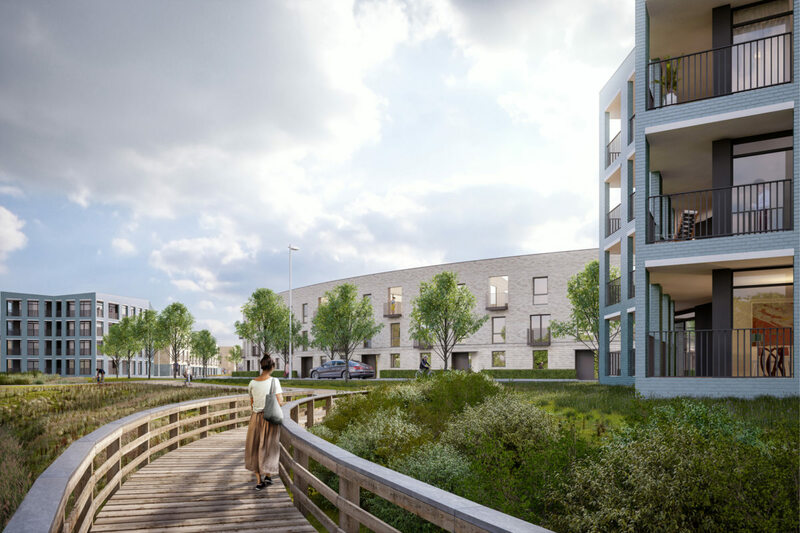 Barton Park is conceived as a townscape within a landscape to form a distinctive urban edge to northwest Oxford. In the 24,800m2 first phase, ABA has designed 102 homes including 49 for affordable rent. ABA has created a sequence of six building typologies that draw on references from Oxford’s urban heritage and embrace views across the Oxfordshire countryside. 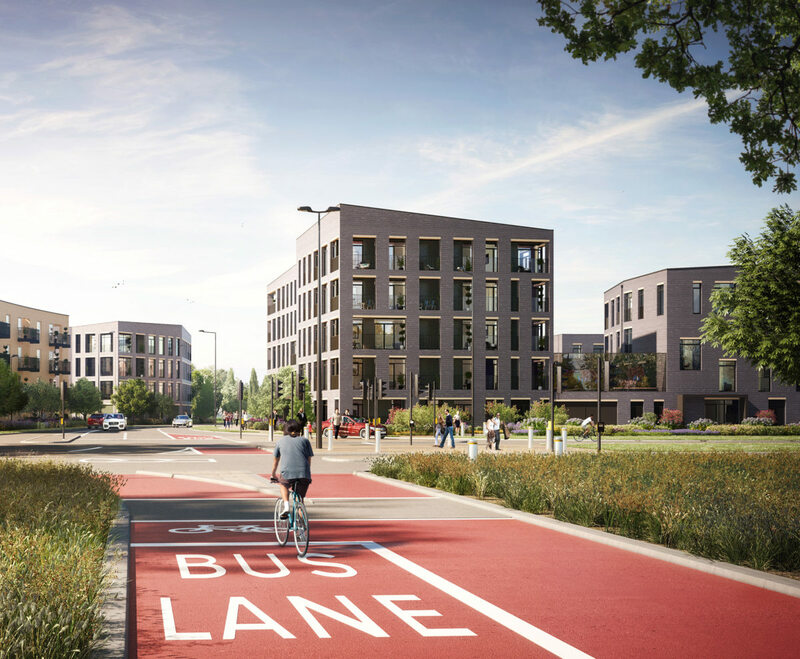 A faceted gateway building at the site entrance along the A4 is conceived as three sculpted forms emerging from a plinth, in reference to the monolithic urban blocks of central Oxford. Its silver-blue reflective brick is in contrast to the predominantly buff brick of the first phase. Two further ‘Lantern’ buildings frame the park frontage and give an urban scale to this edge-of–city site. The structural frame of these hexagonal buildings is expressed as a lattice that gradually expands to form generous balconies. Further into the new neighbourhood, ABA’s Sideways Houses form a light-permeated urban block to frame an intimate square. The Long Terrace frames the Greenway, a preserved hedgerow and reed bed linking the site to its rural context. The first phase culminates with the Park Villas, a stately edge of four and five bedroom houses overlooking Bayswater Brook. Each house includes a flexible space at the front that can be used as a study or workspace, encouraging home working in primarily residential neighbourhood. The largest houses include garden annexes. 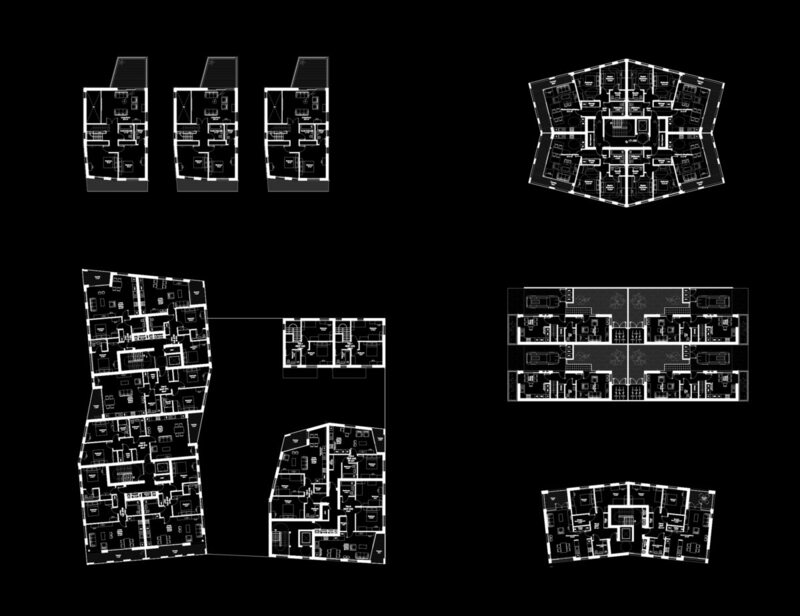 “Our design provides diversity and subtle variations in architectural language across the masterplan. 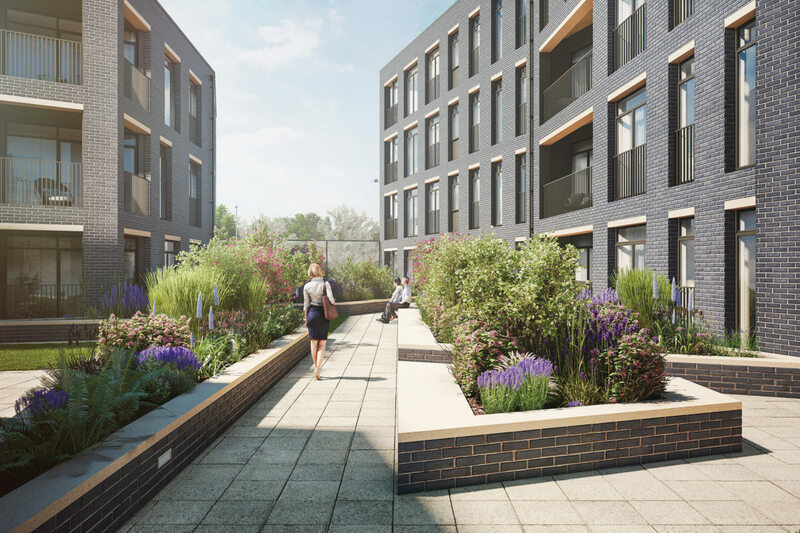 This creates an urban landscape with a strong sense of place, relevant both to the city of Oxford and the surrounding Oxfordshire countryside,” says Alison Brooks, principal and creative director of ABA. The scheme is expected to start on site in mid 2016. 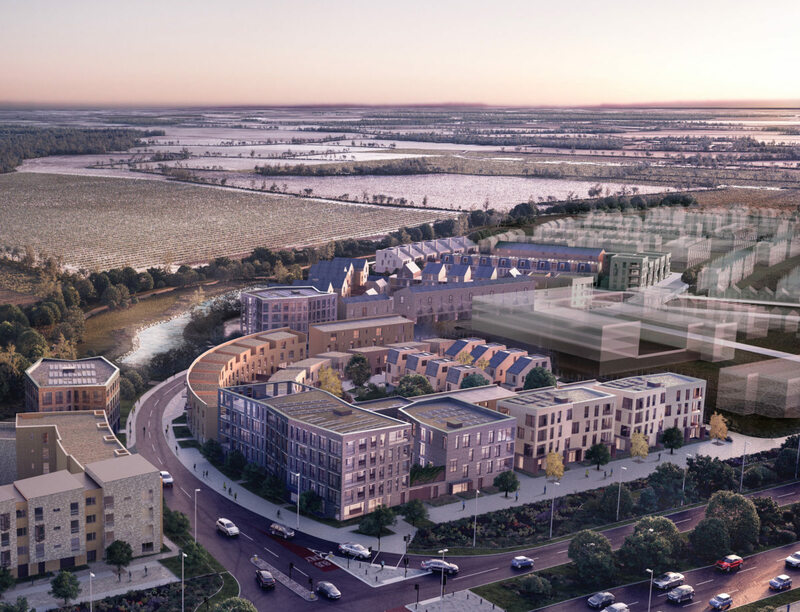 When complete, Barton Park will provide 885 homes as well as a school and community facilities.